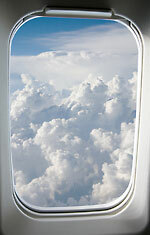 High above dimpled clouds, I fly from Missouri to home. Home for the Holidays. Thanksgiving is days away; Christmas lights and our tree will soon go up. Already, I’m full to the brim with gratitude for many gifts in my life. My weekend at the Lake of the Ozarks was a ribbon-wrapped package filled with dedicated teachers and librarians, with stories about reaching readers, with favorite authors and illustrators. Missouri Reading Association’s theme was “A Gift of Literacy,” and indeed, this gift comes in all shapes and sizes. One of the conference chairs shared a story with me about her 17-year old autistic son who reads at a first grade level. “He loves your picture book, ONE-DOG CANOE,” she said, “and I want to thank you for giving us a metaphor for when Levon gets overwhelmed in life. Now we say there’s ‘too much in our canoe!’” She thanked me for writing the story, but hearing how one of my books reached one unique reader was humbling and inspiring—a gift. At conferences, I’m often reminded how fortunate I am to be able to call other authors and illustrators good friends. At the evening banquet, I enjoyed listening to Roland Smith. He and Marie Smith have been friends since Roland and I were first published with Hyperion back in 1995 (my first novel, MOOSE TRACKS and his first novel, THUNDER CAVE). We’ve followed each other’s careers development, and I was delighted to hear Roland’s fresh stories of traveling to Burma to research elephants for his newest novel, ELEPHANT RUN (a great read!). I sat with Kirby Larson, author of HATTIE BIG SKY (Newbery Honor), who I’d met a year or so earlier and admired immediately. New friends . . . old friends. All are gifts. 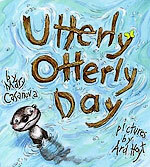 Ard Hoyt, who illustrated ONE-DOG CANOE, SOME DOG!, and our forthcoming picture book, UTTERLY OTTERLY DAY, arrived from Arkansas with his wife, Kjirsten, and their five bright and beautiful daughters, as well as grandparents from Ohio. Finally, I met the many inspirations for Ard’s whimsical and endearing illustrations. During some free time, I met with two of Ard’s daughters. The eldest shared some of her writing with me and I assured her, “If you want to be an author someday, you certainly have the talent.” And her younger sister let me know she was the fashion girl, “the diva of the family.” They seemed in awe of meeting me, but I was far more excited to finally meet them—and all of Ard’s family. Ard and I closed the conference with a luncheon talk about how we collaborate. Creating a picture book is a process filled with numerous revisions and false starts before a book is completed. Thanks to a supportive editor guiding the process, I finish struggling with every word in the text and Ard puts the last touches on the final illustrations. Magically, we reach our destination. Though writing and illustrating isn’t easy work, and at times it can be downright frustrating, it’s such satisfying work. What greater honor could there be than to be part of putting a book into the hands of young readers and ultimately, sharing the gift of literacy? As my little plane bounces high above forests, bogs, and 10,000 lakes, I’m treasuring the ongoing gifts of being an author. I meet dedicated teachers and enthusiastic readers of all ages; get to know authors and illustrators as friends; and experience the Holiday joy of giving—and in so many ways, receiving back–all year-round. 2) Write about one Holiday gathering you’ll always remember. 3) Write about a specific gift you received (or didn’t receive). 4) Write about a specific gift you gave someone and their response. 5) Write about the worst Holiday ever—might be funny now.